The daughter of one of the architects who worked on the building of the Morton H. Meyerson Symphony Center loved her personal connection to the elegant space. Her bridal portrait included shots in the typical spaces but her favorite photo is this one inside the stairway. 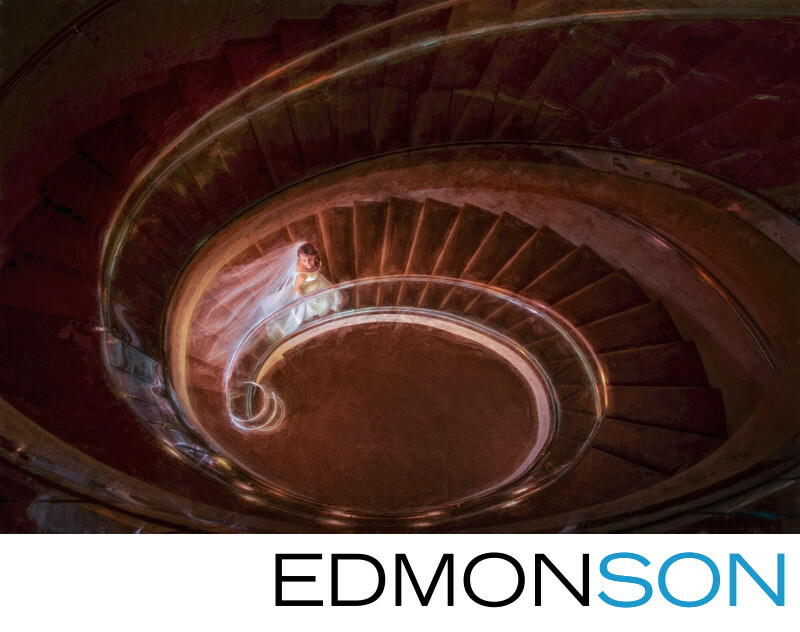 It artistically appeals to her as not only is she a Dallas wedding photographer herself but she also admires the architectural feeling of the photo. Location: Morton H. Meyerson Symphony Center.